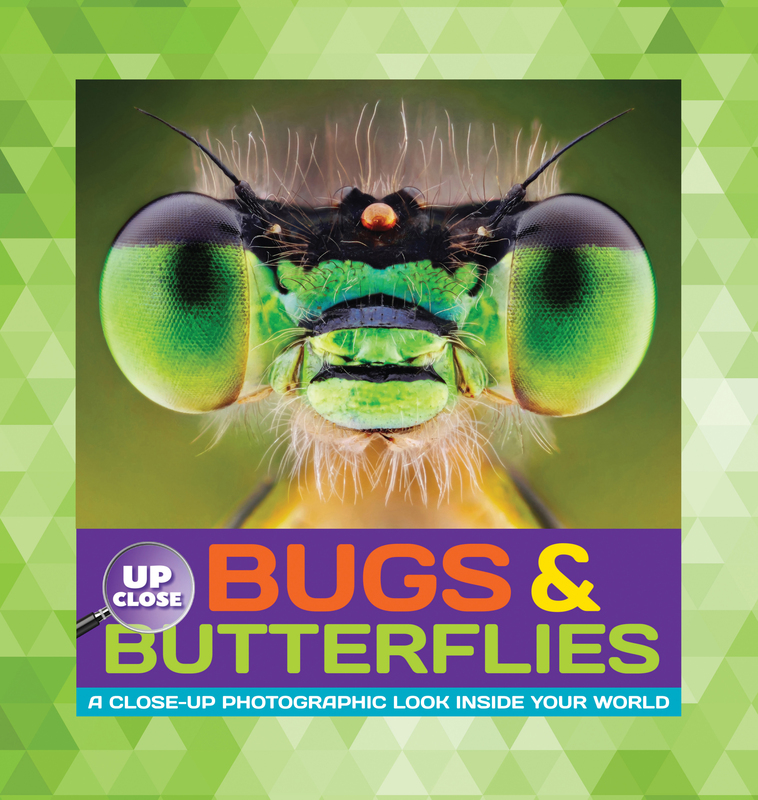 Bugs & Butterflies concentrates on all things creepy and crawly, exploring up-close photography of butterfly wings, honeybee eyes, and spider legs. The Up Close series features an assortment of curious and fascinating micro and macro photography. Bugs & Butterflies concentrates on all things creepy and crawly, exploring up-close photography of butterfly wings, honeybee eyes, and spider legs. Paired with fun facts, activities, and brain teasers, children will learn about the world around them in an up-close and personal way, through detailed, exciting photography that will inspire learning and conversation for the entire family.